The Rebel Sweetheart. 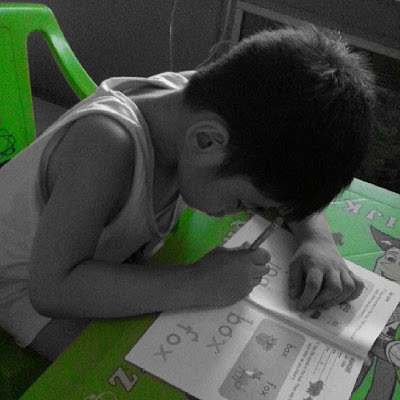 : Wordless Wednesday #37 | Play Hard, Study Harder. Looks like your son is concentrating hard. Thank you for sharing. Looks like he is very intent on what he is doing. Way to go! ;-D So adorable! Tell him we are all behind him to keep up the good work! What a studious little one! Great colour splash on the pic!